Kaia Gerber on mum Cindy Crawford setting a good example | HELLO! 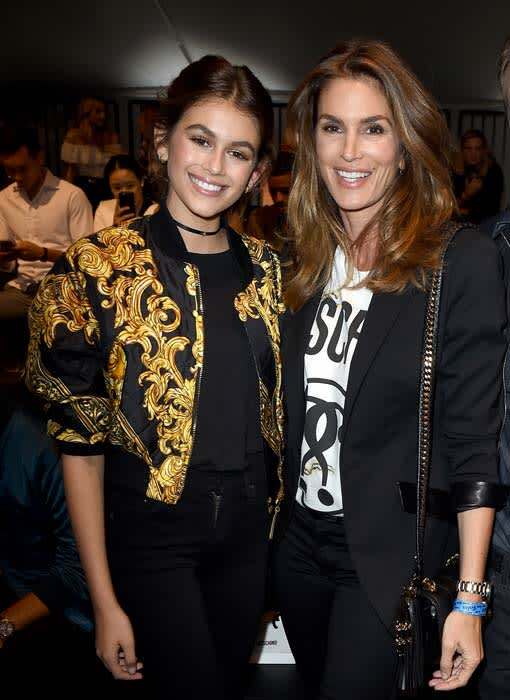 Kaia Gerber has credited her supermodel mum Cindy Crawford with keeping her grounded and down-to-earth. The mother-daughter duo were interviewed for Teen Vogue, and the Kaia, 14, revealed that observing her mother "be nothing but kind to everyone on set, from the photographer to the caterer" has set her a good example. Cindy, meanwhile, revealed that Kaia is "so much more confident" than she was at her age. "I didn't start modelling until I was nearly 17," she said. Addressing her daughter, she added: "You have a sense of what feels right for you. I don't worry about you staying true to yourself... I'm excited you understand what I've done most of my life. "I look back and appreciate it all – travelling, connecting with people through photography. You're having fun but also learning that it's hard work!" On the eve of her 50th birthday earlier this year, Cindy announced that she planned scale back her work in the world of fashion to focus on her family and daughter's career. "I feel like I’m allowing that to have been great, and I’m celebrating it," Cindy told United Airlines Rhapsody magazine of her decades long career. "And I’m sure I’ll have my picture taken for 10 more years, but not as a model anymore. And that’s okay. I’ve done it. I’ve worked with all these incredible photographers. What else do I need to do?" Cindy's daughter has already landed her first major modeling campaign with Chrome Hearts and also is the face of Alexander Wang. And when it comes to passing the torch to her daughter, Cindy said that she didn't have to do much coaching since her teenager is developing her modelling skills just fine on her own. "[Young people] are all taking pictures of themselves, or having their friends take pictures for their social media,” Cindy continued during her interview with Rhapsody. “Kaia would be modeling even if she weren’t modeling. All the girls are modeling. They are not dependent only on how a photographer sees them. They have a direct relationship with their fans." Cindy Crawford's kids — Kaia and Presley Gerber — are model students!